April is usually still a great time to ski on the summit. 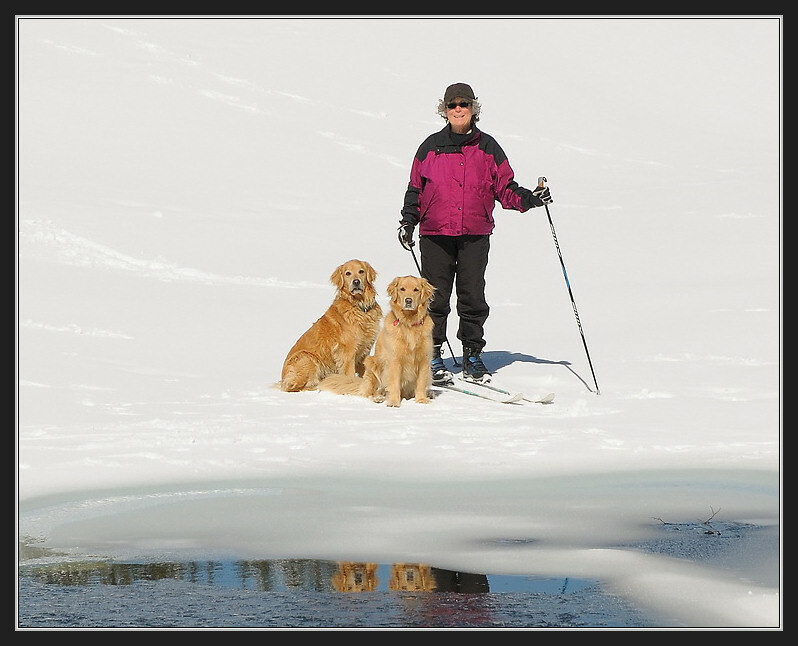 Serene Lakes is still frozen with an accumulation of the winters snow on it. It’s always best to ski with a friend and in this case with two friends. I think I’ve seen these pretty faces before.